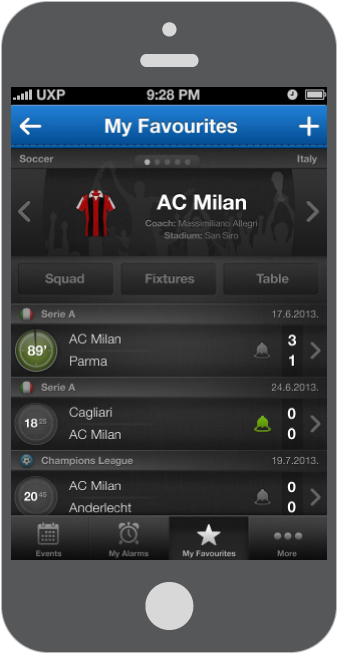 Client: ScoreAlarm’s iPhone and Android mobile applications are exemplary apps in sports betting industry. UX Passion’s specific task was to create and develop the overall visual design for an attractive and simple native mobile solution. How successful it was in that is best shown by the extremely high reviews. 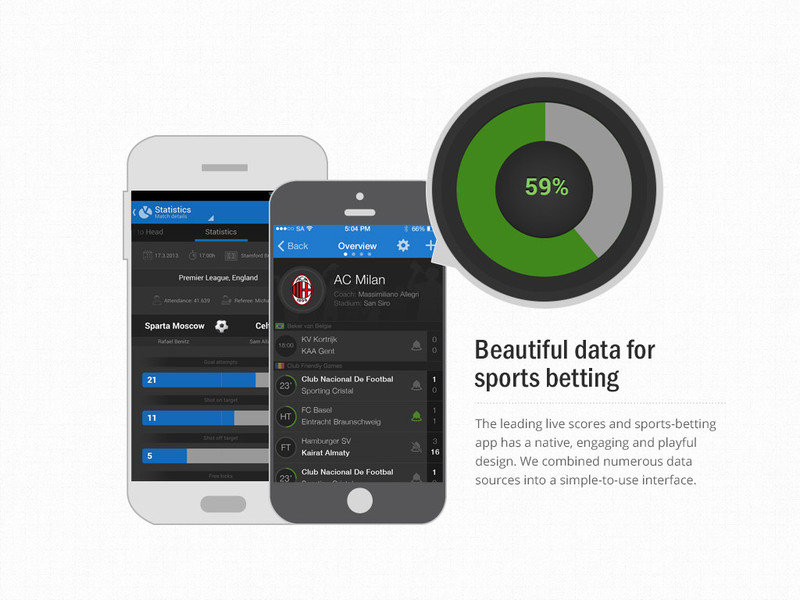 In short, UX Passion helped me to develop my own business from scratch, which today goes far out of our country and is becoming a solution recognised by sports betting industry! 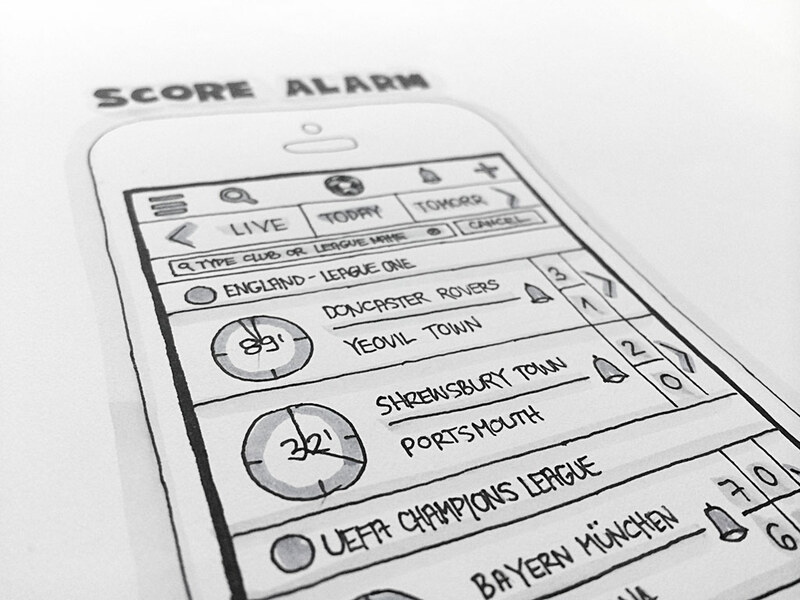 Hoping to take the mobile sports results market by storm, we were asked to deliver an exceptional app to address the niche users who like to keep track of a variety of sports, events, and important statistics live, at any time and in any situation (for example, in betting shops). ScoreAlarm wanted to be present on both major platforms: iOS and Android and specific considerations had to be taken into account addressing different screen sizes and pixel densities. 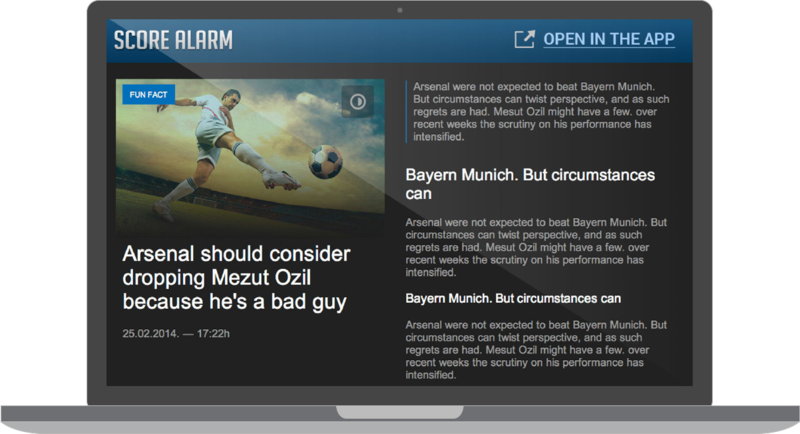 We were also asked to create an infomercial that would educate the users about ScoreAlarm and its functionality. After an exclusive B2B white-label lease to the Croatian Lottery, a new and improved B2C version of ScoreAlarm was ready for the global market, hitting both Apple’s iOS mobile phones as well as Android-based phones. We’ve built a completely new application aimed at the global market, with native designs for high-density displays on modern devices, delivering a user experience unlike any other in this field. The promotional video was informative and aesthetically pleasing, showcasing feature-packed ScoreAlarm in all its glory so that users could get a good overview of the app before even installing it on their favourite device. If we take a look at user ratings, it’s easy to see that users themselves are regularly placing ScoreAlarm in the top 10 apps in its category. Talk about customer satisfaction! From the downloaded stats and usage patterns we can clearly see that users have not just accepted the app, they’ve fallen in love with it. They are praising its simplicity, gorgeous user interface and wonderful functionalities… Native and highly sophisticated design lends itself to the specific strengths of each targeted platform so that users are not getting a second-grade experience and an app that was ported from one operating system to another. We are thrilled to see users happy with their experience and even more pleased to see how superb mobile UX design leads to significant user satisfaction.